In this life, we always need to keep on moving, moreover when it comes to e-commerce business since there are numerous sharks out there, and if you do nothing, chances are, you will find it difficult to compete. However, in case, you are interested in getting leading positions in this domain, you are to apply tools that can help your webstore stand out from the rest. Thus, we would like to present you Swissuplabs Rich Snippets Magento 2 module. In fact, it is considered as being a must have tool, provided you are willing to drive traffic to your webstore, and, consequently, clients. In the e-commerce domain, everything is interlinked, therefore, to increase sales of your online business, you should think how you can attract users to visit your website. 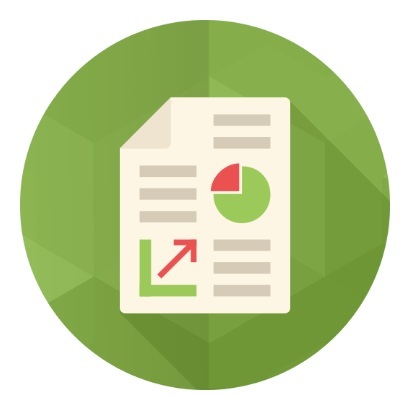 let users understand what kind of content your website offers. 0.1 So, what are these rich snippets and how they work? So, what are these rich snippets and how they work? Basically, rich snippets are a structured data markup which is utilized by Search Engines to display more information about your website on SERP, thus significantly improving the visibility of your Magento 2 website. To verify website’s visibility, you can utilize the Google Structured Data Testing instrument which is able to define how visible your website is, after having checked the content you have posted in your web-resource. In essence, with assistance of these snippets, you provide engines with more information on your website, and, as a result, it is way much easier for them to understand the content you have. Normally, the search engine systems display website title, meta description as well as its URL. 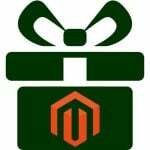 However, having installed this Magento 2 rich snippets extension, you will be able to improve the default data display, thus, attracting users to visit your website. 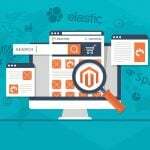 Apart from it, it’s been stated that the Magento 2 module is able to augment click-through rate up to 30%, which, actually, is a considerable impact on website success. Moreover, the tool integrates the functionality of Google Rich Snippets as well to reach maximum productivity and usefulness for your e-commerce business. So, it’s become unsubtle that the application of such a tool is essential if you are interested in attracting customer’s attention. Basically, by means of using this tool, you let users get familiar with your product or service on SERP, which, in its turn, optimizes user experience and simplifies the life of your customers. With the help of the Swissuplabs Rich Snippets Magento 2 extension, you are able to highlight important data which will perform a positive impact on user decision to visit your website. People like when everything looks nice, therefore, give them that feeling, and benefit from it. So, on the picture displayed below, you are able to see how it actually will look like when you install the extension. 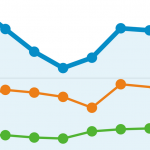 The tool has a considerable effect on the way your website is shown on Search Engine Result Page, making more organized, and at the same time, offering more information to your possible clients. 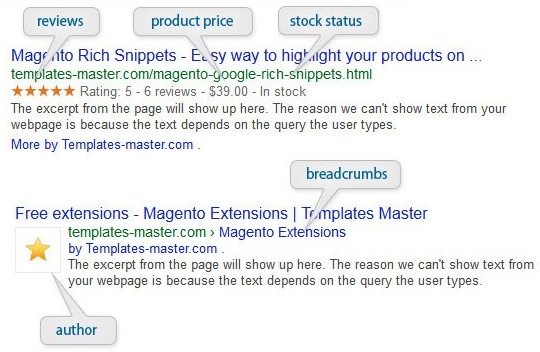 Thus, with Magento 2 rich snippets extension assistance, you can use breadcrumbs to make sure he/she gets to the right place on your website, demonstrate what reviews are, include price and stock status information. As a result, users are provided with valuable information right on the SERP. In the backend of the module, you are free to configure some extension settings. 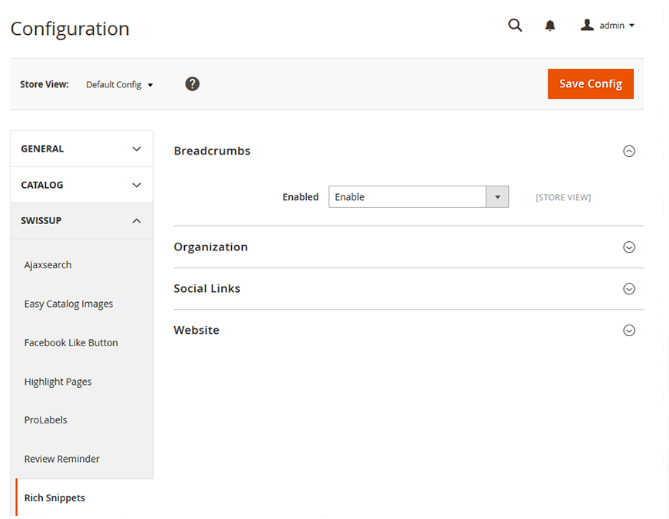 Thus, you can enable breadcrumbs feature to optimize user experience. 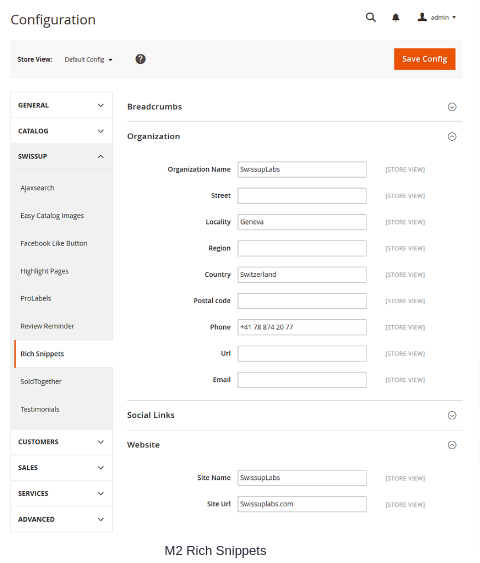 Subsequently, you can move towards filling in additional fields with the help of which you will be able to provide search engine systems with more information on your business: defining your organization name, address, phone number, e-mail, etc. Apart from it, you can even add some social links, thus, dramatically impacting on webstore credibility. In short, in this section, you take full control over what you’re going to provide search engines with. 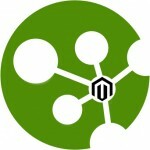 The necessity of installing the Swissuplabs Rich Snippets Magento 2 module is quite obvious right now, after having discussed its significant influence on the webstore visibility and traffic. So, if you want to increase sales on your Magento 2 website, we recommend you to apply this tool as soon as possible to be able to stand out from the rest, thus becoming a shark yourself. If you have any question/comment on the module we have just shed light upon, please follow the link to let developer company know what you think about it.